Following our publication of the picture of “Peg, the witch,” last week, a purportedly ghostly presence which appeared against the backdrop of a black couch in a North Tonawanda home, we have been haunted by readers who claim they have seen ghostly visitors in their own homes. In the picture above, taken in a home in Niagara Falls, there appears to be a ghost floating in mid-air, who is said to be a child who died and continues to haunt his former house. The man who sent us the picture swears the photo was not photo-shopped, or a double exposure. 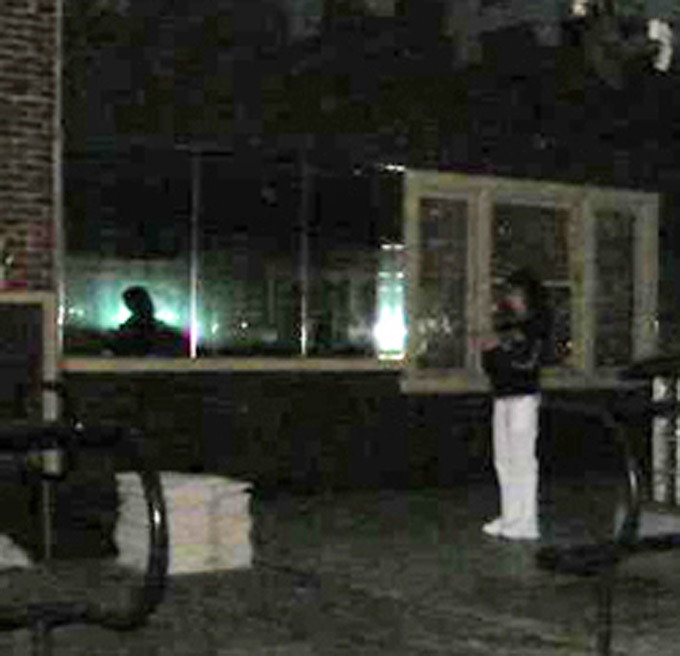 In the photo below, an alleged “shadow person” appears in the background. The person who sent this could not say whether or not the shadow was caused by something more substantial than a ghostly presence – like the man who appears on the right. At Artvoice, we offer no comment on the validity of these or any ghostly presences in or outside of photographs. We published them here mainly because our readers have expressed a desire to either help debunk or affirm the existence of the dead coming back to resort to places where they once lived.